In the world of big-time college football, true student-athletes are an endangered species. Pressure to win at any cost has put coaches and administrators under the gun. At some schools, curriculums and admission standards have been compromised. Athletic prowess has trumped intellect. Not at Rice University. 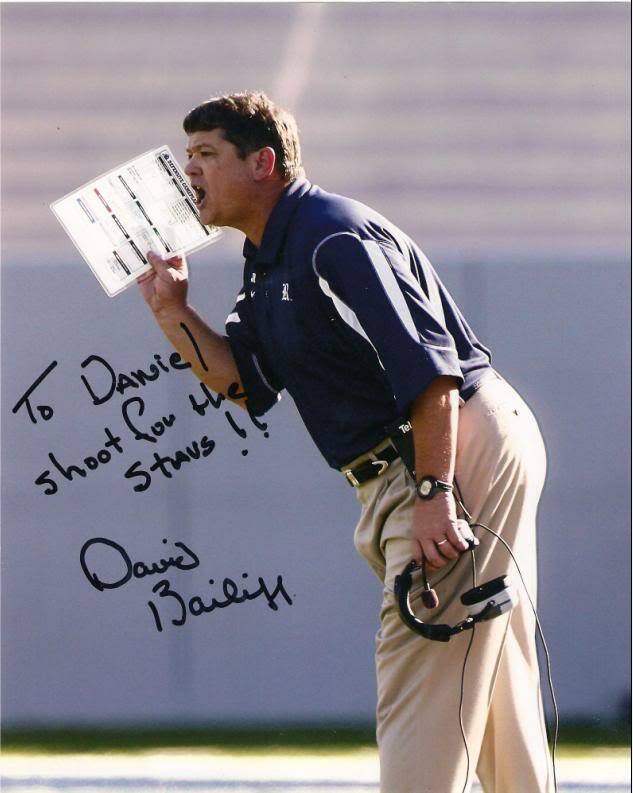 In the world of head football coach David Bailiff, the real test is signing quality athletes when the freshman GPA average is 4.08 and 83 percent of applicants are turned away. But, he relishes the challenge. I met Bailiff at a lunch meeting of the Houston Mortgage Bankers Association. He was the speaker. At 58, sitting across the table he looked like he could still play a mean tight end. He stepped to the podium, looked out like a lumberjack among Lilliputians, and took command of the room like a late-night TV host. He opened with the challenges of wrangling a team comprised of top 5 percent students. He once brought in an astronaut to give the team a pep talk. At Rice, the pool of eligible recruits is minuscule. Bailiff’s biggest rivals are Duke, Stanford and Northwestern. With standards that high, depth on the field is a perennial problem. When the injury bug bites, as it did the last two seasons, Bailiff finds himself fielding a wide-eyed team long on IQ and short on whiskers. But, he takes it in stride. Next, he spun an old football maxim: For every freshman you start, you will lose one game. “That’s why we went 3 and 9 last year.” Laughter. But, despite the levity, you could read in his eyes how much he hates to lose. The recent drought in wins is anomalous. 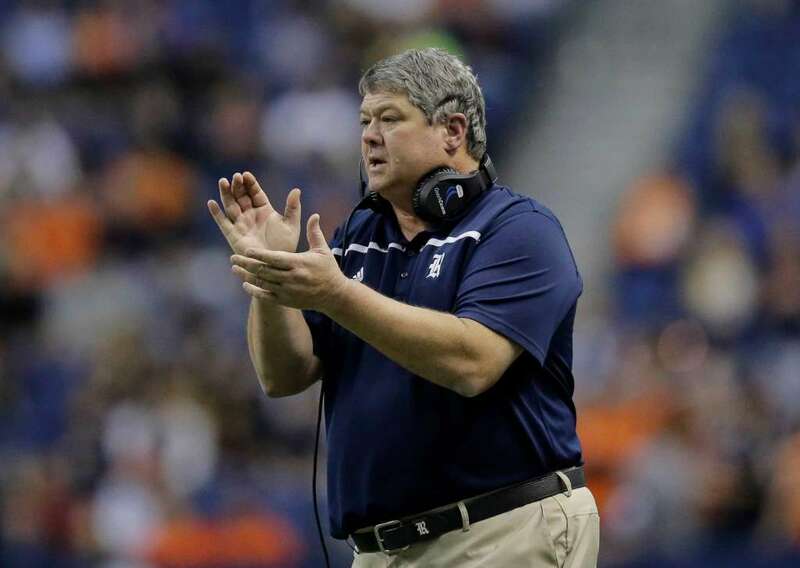 Bailiff’s long tenure as head coach at Rice has been one of the most successful and, best of all, he’s done it the old-fashioned way — with character and class. He leads by example. The Rice players also take time way from preseason drills and help students move into the dorms. No kidding. These values produce good citizens as well as good athletes. If you think they’re corny, ask yourself this. Would you’d rather your daughter date a player from a courageous Rice team or an arrogant superstar from the SEC who is more interested in his NFL signing bonus than his grades? Bailiff’s goals are to help his players achieve their full potential in life and on the football field, in that order. We need more like him. 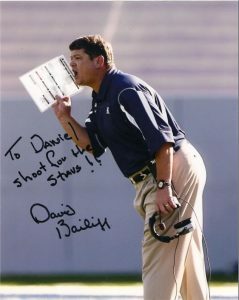 At the end of each season, no matter their record, Rice’s student athletes and David Bailiff will be winners.